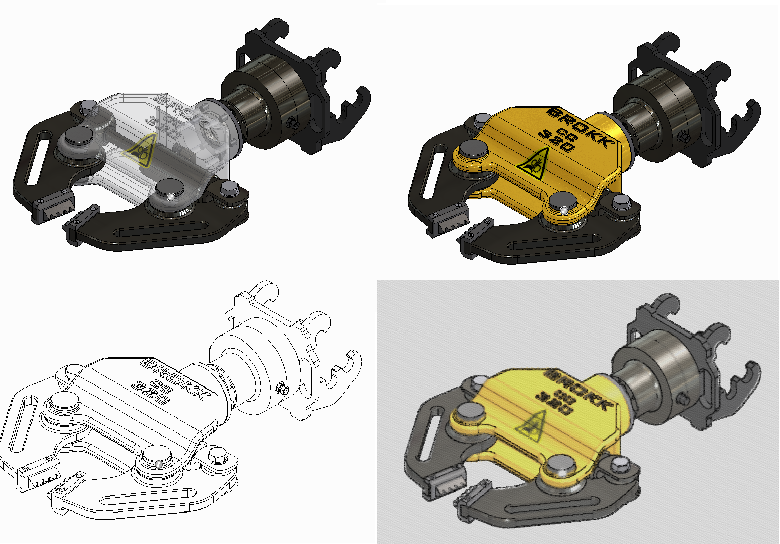 Inventor has a number of different visual styles that you can use to view your model in different ways. 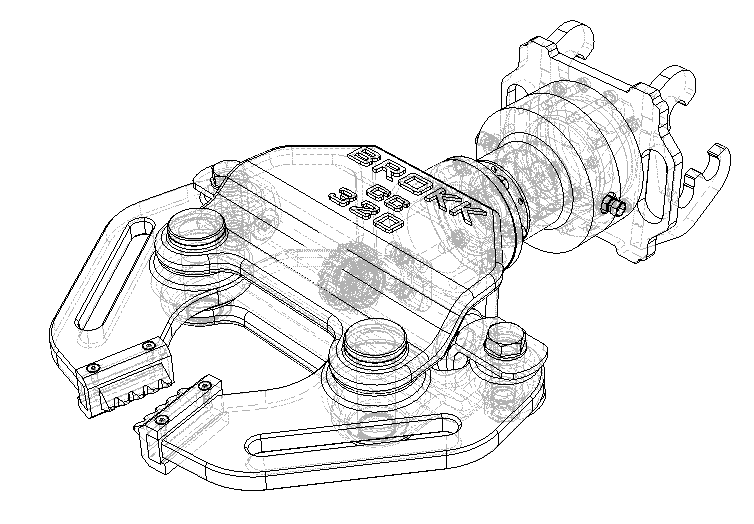 These include Realistic, Shaded, Wireframe and even Watercolour. You can find the different visual styles on the View Tab > Appearance Panel. On this panel you can also find the switches to turn on shadows, textures and the perspective view. 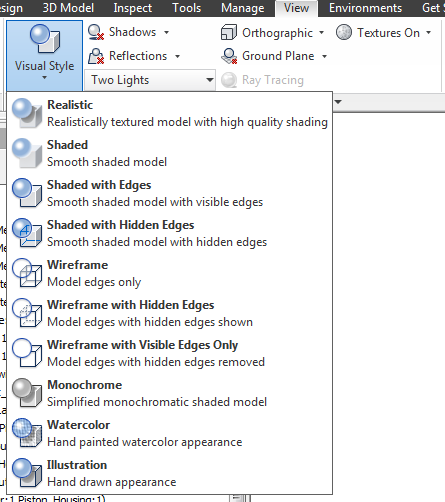 The one thing with these visual styles is that it applies to the whole model/assembly. So in the example below every part is wireframe and I have no control over this. This is nice, but what if I only want the main body to be wireframe, so I can easily see what’s going on inside. Well then the visual styles in this case won’t help you. But you have two other options. Your first option is to use the ‘enable’ option. In the model browser right click on the component in question. From the menu pick ‘enable’. This will make that part semi-transparent but also unselectable. It also doesn’t show the edges of that component. Your other option which allows you to still select this component but also keep it see-through is to apply a transparent appearance override to the component. This could have a tint of the component colour or be totally clear. 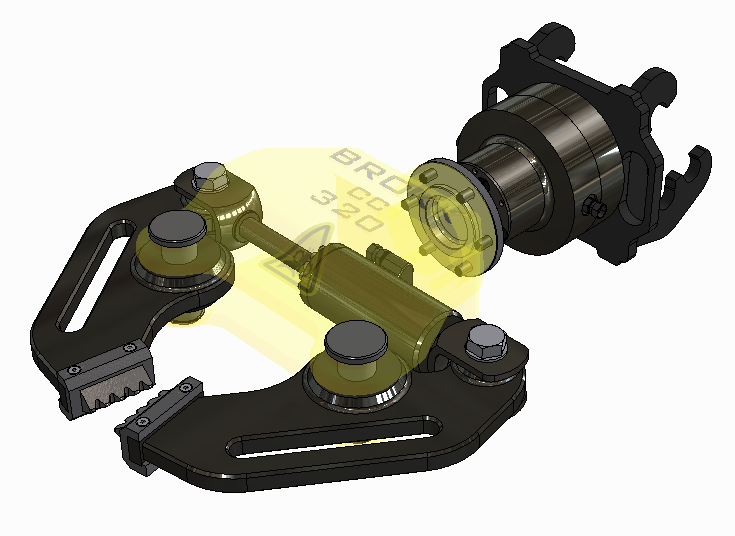 Using this method allows you to see through the part but also see the part edges (just like wireframe). To apply it select the component and then from your quick access bar change the appearance to something like Clear (there are number with tints already applied but you could adapt these). One final tip is to make the edges black instead of material colour (which is probably how they are by default). To do this go to the Document Settings > Settings and change the edge to one colour. 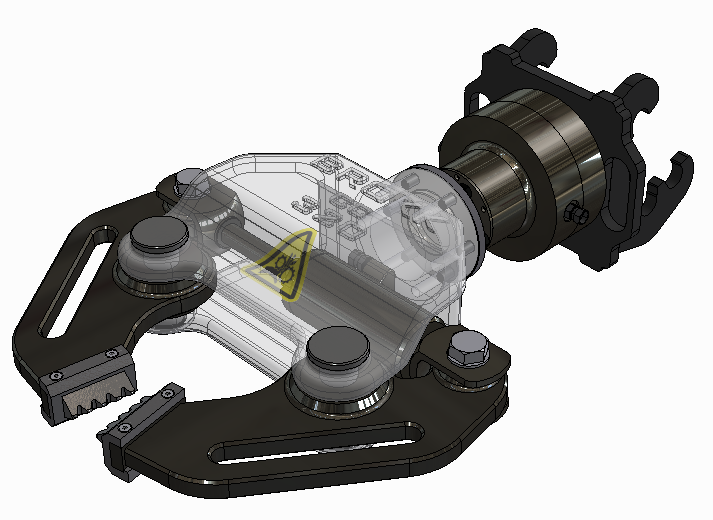 Once you have finished modelling and want to turn the component back to normal you just need to remove the overridden appearance. 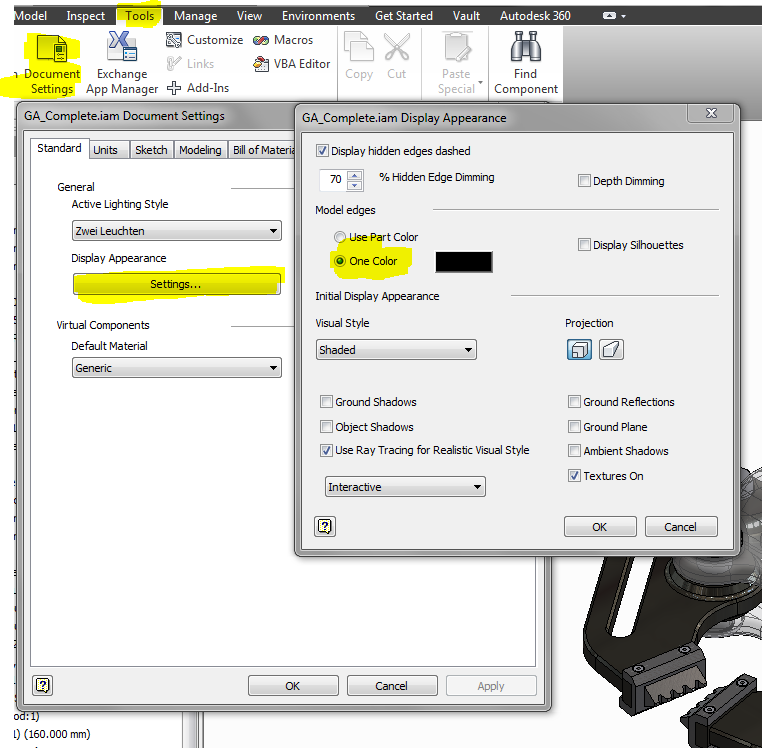 Select the component and then on the quick access bar pick the ‘Clear Override’ option in the appearance drop down (it should be at the top of the list).